Amazon Echo is the Alexa-activated smart speaker of the Amazon. You can’t have Amazon Echo (Echo Plus or Echo Dot) without Alexa. So, Amazon Echo is widely popular as Amazon Alexa. If you are thinking to get Amazon Alexa, here is everything you need to know. When it comes to a little help in managing our homes and lives, smart home speakers come to great help. They are not here to only help with your routine tasks but to entertain you as well. You can call them your personal assistant, virtual assistant or smart speaker. We’re talking about Amazon’s very own smart product- Amazon Echo, popularly known as Amazon Alexa. Not to mention, the most versatile voice assistant and a smart speaker in the town. Moving further, let’s first know about Amazon Alexa, and then we will explain how it performs, the function of Amazons Skills, Alexa certification, the comparison between Alexa Amazon and Google Home, market demand for Alexa, and the future of Alexa and much more. Amazon Alexa, basically famous as Alexa derives its name from the ancient library of Alexandria. It is a virtual digital assistant based product designed by Amazon. Amazon Echo and Amazon Dot Echo speaker are Alexa Amazon’s line of computing devices, which works as the voice control system of Amazon. Alexa allows you to convey your desires to an Echo smart speaker and watch them come true. It’s the next generation Alexa-controlled smart speaker by Amazon, which is available with several derivative versions and is continually expanding its smart-home, music and digital assistant capabilities. However, it’s first a wireless speaker, but it is capable of doing much more. You don’t need to use anything but just the sound of your voice to search the web, play music, shop online, and control widely popular smart home products – while keeping your smartphone in your pocket. This may include at least the simple wishes or needs such as playing music tracks, voice interaction based music playback, streaming podcasts, setting alarms, creating to-do lists, dimming your lights, and offering real-time information like traffic, sports and weather. The Alexa Amazon was initially released four years ago and is compatible with the various platforms, including Amazon Echo, Fire TV, iOS, Android and Cortana. It is available in 6 languages, which includes English, French, German, Italian, Japanese, and Spanish. Alexa and Echo speakers are different from other first-generation voice assistants because of their responsiveness. It does not consist of any activation button that one could press. You need to simply speak the trigger word like “Alexa”, “Amazon”, “Echo”, or “Computer” followed by the activity you want the system to perform for you and get it done in no time. Everything will work fine if you’ve used the correct command and set each of the things properly. Once you get familiar with the tricks, you’ll realize that the functionality of Alexa is much more simple and natural than a phone-based voice assistant such as Apple’s Siri. And thus, you’ll notice that your phone usage will be less at home. Alexa developed a natural language interpretation system which is extremely easier to interact with. You don’t need to request twice on asking a question or delivering a command. The success of Alexa depends on the highly sensitive microphones available in all echo devices. As mentioned earlier, Echo devices let voice streaming only when done on the cloud, and you ask it to do something. Your requests will appear on the top in the app, and you can erase them. Also, on speaking a magic word, the microphone will take everything you speak next and move it up for the quick analysis by Amazon’s cloud computers. If there is a question like, “Alexa, what’s the weather in Ontario today?” Then an answer comes up from a female speaker in a slight computer voice. In case, you want music then the Alexa will look into the Amazon Prime Music or Amazon Music catalog as per the request of genre or artist. To perform such actions, you must have a prime account on Amazon to access the prime music. And in order to do that you first need an Amazon Alexa login. It can also play music from Pandora free or subscriber accounts, TuneIn internet radio stations, iHeartRadio, Spotify (Subscribe accounts) and Apple Music. If the request is for adjusting the thermostat or turning off the light, your thermostat temperature will adjust, and the light will turn off. This will happen only if you have made a correct request. Making daily tasks easier is one of the smart device key characteristics. Turning off your light with an app on your iPhone is simple. But, finishing a similar task with just a simple command without taking out your phone from your pocket is even easier. Alexa and Echo speakers are the ideal options for smart-home users who believe that even launching an app is even a tedious task for them. Apart from its built-in capabilities, Alexa provides over 3,000 “Skills” from Amazon and third-party integration applications such as IFTTT, Muzzley, and Yonomi. 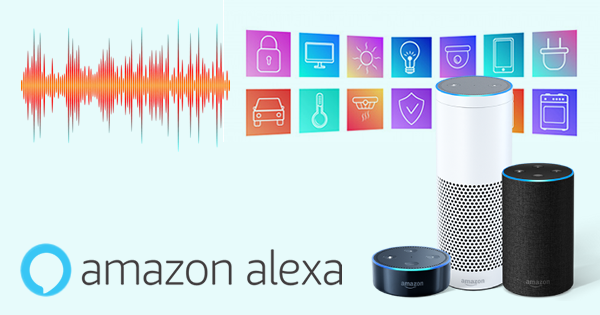 These allow users to extend the functionality of Alexa to automate and coordinate the interaction between other connected devices. Alexa Echo is a one-of-its-kind decent Amazon Echo speaker. But if you are a fan of music streaming, you can achieve better sound quality with other speakers. What’s the Difference between Echo Dot and Echo Plus? However, all the devices by Amazon Alexa provide essentially similar functions. But, they are usually different in more than one way. So, you can’t simply use the one in the place of others. Or you can also choose to have the cheapest option. Let’s find the difference between Echo dot and Echo plus. The 3rd generation of Amazon smart speaker has the feature to connect wirelessly to your preferred choice of sound system or speaker. The overall look of the new Dot is somewhat similar to tuna. It is also a little larger than the old Dot and includes a fabric cover like the main Echo. The Echo Dot also contains the microphone and volume buttons on top similar to a current Echo or an original Dot. The Dot offers you the complete control, search features, and a speaker that is great for listening to Dot’s voice, talk radio and alarms. However, it’s not a good option to enjoy music. So, for music, you can connect the Dot with any Bluetooth speaker or can also use a stereo jack of 3.5 millimeters for a wired audio connection. You can even hook up that into an audio receiver or a powered speaker. Consider, for instance, if you plug the Dot to your home theater receiver, you could enjoy the music from a 1,000-watt system. With an AV receiver, you can output the Dot across all the speakers. But, there is one downside to it. Your sound system or connected speaker must be turned on in order to hear Dot’s voice responses. The Amazon Echo Plus is the 2nd generation of the Amazon smart speaker. It is the right choice for you if smart-home control tops your list of reasons for having an Echo. It is available in three fabric cover colors and is little wider than the Echo (we guess that’s why it’s given the name Echo Plus). This model includes support for a well-known wireless system- Zigbee that controls smart home device available at many smart-home places. The new Plus entails a temperature sensor as well, which functions really well in few smart-home device integrations. With an in-built Zigbee in an Echo, it means you can easily connect with Zigbee accessories that include outlet plugs, door locks, and smart bulb, without any need of an additional hub. The Echo Plus can work with most of the Zigbee smart devices, but not all of them. It works with a Philips Hue bulb, Philips Hue light strip, Samsung SmartThings Zigbee plug, and some Schlage smart locks. Echo Plus does not need the Hue Bridge, unlike other Hue systems. There is a lot of improvement in the Echo app with the latest Plus addition. It has now become easier to control smart-home devices from inside the app while having the ability to control them with your voice as well. You may not get detailed controls in the Echo plus pairing with the app. You’ll definitely save some money and time in complication set with Echo Plus instead of using a smart-home hub. It is slightly better than original, but most of the people who have basic smart-home needs may not have any issue in using the standard and cheaper Dot. What is the Function of Alexa Skills? In the world of Alexa Echo, a skill and app are both similar. Skills are a small program that offers you a new ability when you add it to your Echo. Developers can build and publish Alexa Skills with the Alexa Skills kit called Alexa Skills. This kit was launched for the audience with basic programming knowledge to create the skills and add them to Alexa. 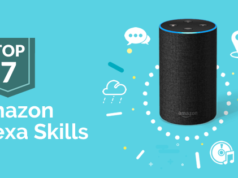 Once the skills are added, you can use it on any Alexa device without any need of adding the skill to each device. These skills are developed by third-party which if published are available on Alexa-enabled devices. With Amazon’s AWS Lambda service, it becomes possible to run skills completely in the cloud. Amazon released Blueprints in 2018 so as to allow individuals with a tool that helps them in building their skills for personal use. The Alexa app consists of more than 25,000 skills, and the number is increasing day by day. For smart-home enthusiasts, IFTTT skill is the first skill that one will want to add. The IFTTT is (if this then that), and it’s an app and website that allows you to link different devices in the cloud. The app basically calls it recipes. Products that are designed using Alexa Voice service can get access to the growing list of Alexa capabilities, which includes Alexa Skills as well. Works with the Alexa program is a certification program that ensures your customers receives the best smart home experience by elevating the features like reliability, functionality, and responsiveness. When as a seller, your product receives the certification, your products become eligible to carry the badge of “Works with Alexa Badge” on product packaging and in the Amazon Smart Home Store. This would lift the customer confidence that the products you are selling possess seamless integration with Alexa. This, as a result, will increase the traffic to your products in both the offline channels and Amazon Smart Home Store. But for this, your product must fulfill some product and eligibility requirements as per the guidelines defined by Works with the Alexa Program. Once you are done with thorough testing of your product, you can register your product for certification in the console panel of “Works with Alexa.” If your product holds a certification, you can make use of Works with Alexa badge as per the guidelines of trademark usage. Also, Amazon Web Services has recently launched an Alexa certification i.e. AWS Certified Alexa Skill Builder specialty beta exam. 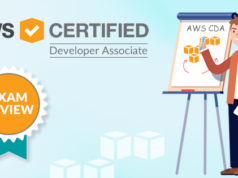 The AWS Alexa Skill Builder Specialty exam tests and validates the expertise of the candidate in building, publishing, certifying, and testing Amazon Alexa skills. So, if you are a skilled Alexa developer who wants to demonstrate his Alexa skill-building experience, this certification is for you. In 2018, Amazon’s Alexa saw a whopping rise with 40,000 developers in India alone, as the U.S retail giant put its best forward and captured the smart speaker market in India. The Alexa has left no stone unturned to seek the attention of developers and companies and achieve victory over Homepod powered by Apple Siri’s, which are slowly gaining a strong foothold in the market. From e-commerce and cloud to music and entertainment, Amazon is doing every bit to make it an extension of its product offerings. 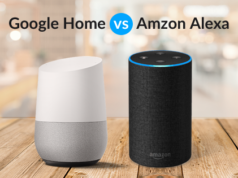 This is evident from a recent CIRP report released on February 5, 2019, Smart Speakers has hit 66 million installed base hits in the US while Amazon holds 70% share as compared to Google and Apple. This means smart speaker owners make their purchase decision based on voice and also shows their loyalty to the company from where they bought their smart speaker, particularly Amazon. Also, Amazon’s smart speaker market share in the U.S. was 70% last year, and it still dominated over three-quarters of the market in the U.S. Let’s have a look how the google trends changed for the Amazon Alexa in last 5 years. There are 12,000 Alexa-enabled connected smart home devices from 2,000 unique brands. Furthermore, the number of consumers speaking to Alexa devices with third-party skills increased by around 75% in 2017. So, by 2020, most of the brands will demand a voice strategy of some form. One thing which is crystal clear in the smart home market – Amazon and Google are long-term contenders fighting for supremacy. Amazon today is leading the market with high sales and a huge platform wherein third-party providers can create solutions for its well-known Alexa Echo products. However, Google has also expanded its partnerships with several companies to boost its Home’s appeal with better smart home devices. For people who wish to transform their boring home into a smart home, it becomes difficult to choose between Google Home and Amazon Echo. Let’s see the basic differences between them i.e. Amazon Alexa vs Google Home. Amazon Alexa features volume controls and a mute button on the top. There is not only a single way to access Alexa. Amazon Echo, Echo Dot, Echo Spot, Echo Show, Amazon Echo Plus and Echo Dot Kids Edition are some of the multiple Alexa-enabled devices. It is also possible to access Alexa with the Alexa app such as Fire TV Stick (remote), Fire TV, and Fire TV Cube (hands-free). There are also many other third-party devices. Google Home includes a swappable base, mute button on the back and a touch interface. Similar to Echo, it also consists of multiple versions like Google Home, Google Home Mini, Google Home Max and Google Home Hub (video screen). Google Home does not allow to stream music from the camera, and you can only ask the questions in it. To this end, Amazon Alexa is very powerful. It helps in a variety of tasks for you. Plus, it is also a dominating leader when it comes to using it in different ways. As said earlier, Alexa Amazon comes has over 25,000 skills. On the contrary, Google Home does not provide a similar level of third-party support as Alexa. What Should You Expect from Amazon Alexa in the Future? Recently, the Amazon has started shipping new versions of Echo Plus, Echo Dot, and Echo Show. 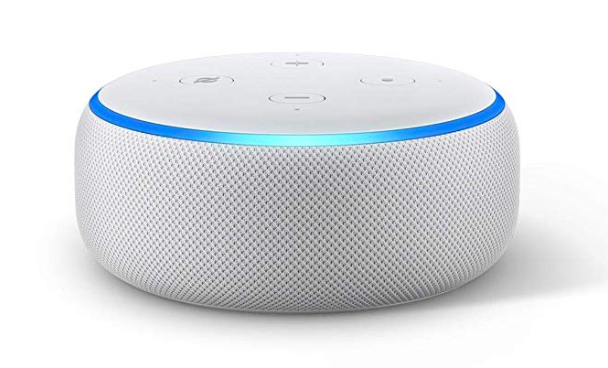 These devices include the latest convenience and security features like simple Wi-Fi setup that lets you connect smart compatible devices with your voice. As Amazon is building the smart-home capabilities of Alexa, it is making it easier for companies to develop compatible devices. This as a consequence is inviting more and more companies to declare their integration with Alexa. The future would see its ability to take the benefit of the Echo’s Bluetooth connection to use it as a speakerphone. You can also expect it to have more in-built non-Amazon devices. Right now it works in a great way to answer the basic questions and play music from various streaming devices. But as the accessories are making themselves compatible with Alexa, it seems to lay a strong foundation for a smart home powered by Alexa. Alexa will let you control the accessories of your home with your voice which will be much more preferred than turning your lights on by poking your iPhone. Leading companies like Ford cars, Toyota are integrating Alexa into their products because it’s an easily available open platform that the companies can build into. Over the passing years, the Echo has become more capable and powerful in streaming music from a wide number of music servers. You can call an Uber, order a pizza and control the function of your home using it. In the future, businesses can create efficiencies and improve their customer experience by using Alexa for business purpose. As Amazon is trying to make Alexa sound more like a human, it’ll become a true assistant for all of your conversational needs. Amazon proudly captures 70% of the market of smart speakers as Alexa has been successful to work with more than 1000 products worldwide. From modular kitchen to door lock, Alexa is being used everywhere, and it’s ready to take over the world of communication. In the coming years, Alexa skills will become an integral part of our lives as we’re realizing the utility of these skills. Many of the Alexa skills like FitBit, Ted Talks are already being used, and in the future, it will become an inseparable part of the households. It will also become our assistant helping us in reminding us about appointments, creating song lists, booking flights, and doing various other activities that can keep the work on track without any added effort. With the continuing innovation and yet to be seen features, the possibilities of Alexa will go longer than what we all can imagine. Amazon Alexa is capable of making work easier through the intelligent brain and adds on features, and this will make it the most demanded tool in every home. Who wouldn’t want to have such essentiality which gives the comfort to get what you want just when you say it. Alexa Amazon is all set to conquer the market of voice speaker, and it will change the way people can interact with technology. So, which generation of the Amazon Alexa are you planning to get? If you already have the one, don’t forget to share your experience with Alexa in the comment section below.